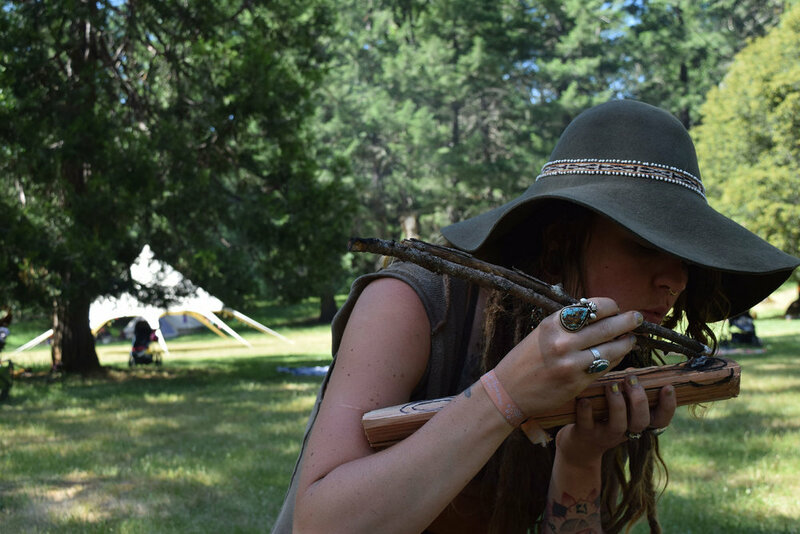 Join us in a powerful weekend of crafting the holders of natural medicine! Learn how to carve your own wooden spoon to handle dry goods such as herbal infusion blends and spices. Learn how to weave your own bag to hold crystals, talismans and any other materials you'd like to keep close to your heart on a daily basis. Spoon carving is one of the most ancient crafting practices known to humankind. Using hot coals from a fire to form the bowl shape within the spoon, we are brought into a dynamic and sacred creation process. We balance our intention for the wood with deep listening and responding to the shape it would like to take. This unique opportunity to deepen our practice of presence with earth matter helps us witness and transform our relationship to change as the journey unfolds. Join me to create a unique wooden spoon and refine your knife working techniques! Learn best practices for taking care of both your spoon and carving tools. Learn yogic hand and wrist exercises that keep your physical body well while you practice handwork. Leave the gathering with a new skill, new brothers and sistars, and your very own utilitarian objet d'art. * Please bring your own knife for use within the workshop. I will have a few extra on hand for purchase as well. Wood material will vary based on workshop location and available wood. I will strive to provide fruit woods from local organic fruit orchards so wood is as fresh as possible. 10-1PM: Learn the story of wooden spoon carving, what wood to use, and how to work with fire. We will instate the coal burning process! Medicine bags were traditionally held by native medicine people to store magical items for ceremony and ritual. For anyone dedicated to staying close to their truth, wearing a medicine bag containing some reminder of that intention (a charm or gemstone, for example) is a beautiful tool. This helps us stay close to our divinity and connect to all that is. Both wearing and making medicine bags are incredibly grounding practices. Keeping physical reminders of the divine natural world close by anchors and orients us to the miraculous, so no matter where we are, we are connected to our truth. Woven medicine bags are beautiful keepers of the sacred. As we wear symbols of the natural world close to the heart, we keep this medicine with us as we move about our lives. 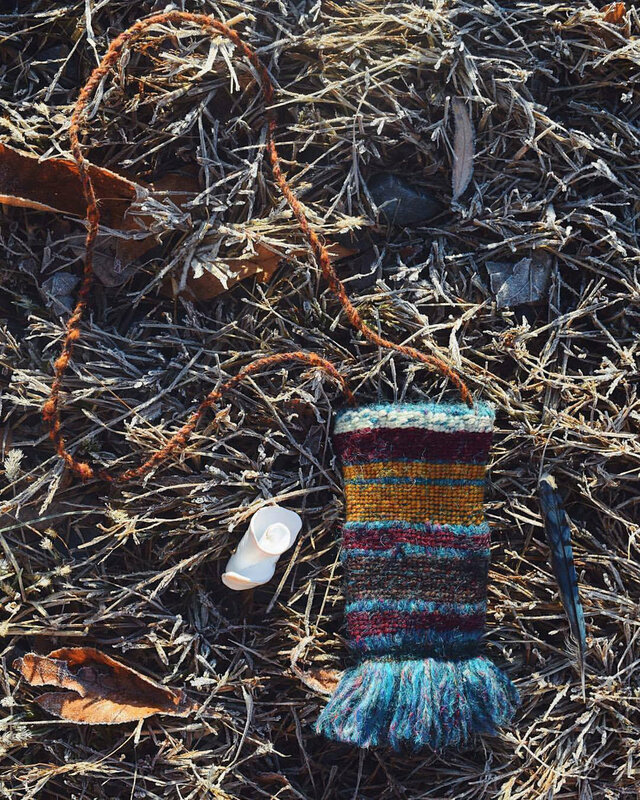 Learn how to weave your own medicine bag using naturally dyed yarn. 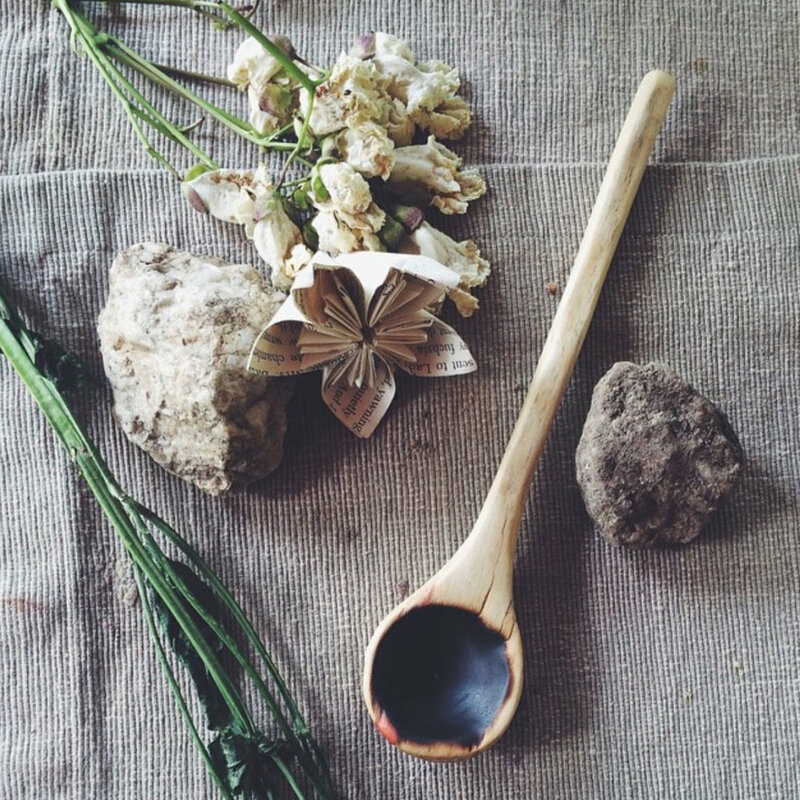 Learn the medicinal and energetic properties of the plant used for the natural dyeing process. The specific plants used are taken into consideration when customizing a bag for its keeper. Learn traditional weaving songs to bring home to your own community! *Each program participant will receive access to my E-Books on Medicine Bag Weaving and Coal Burned Wooden Spoon Carving as part of the workshop fee. 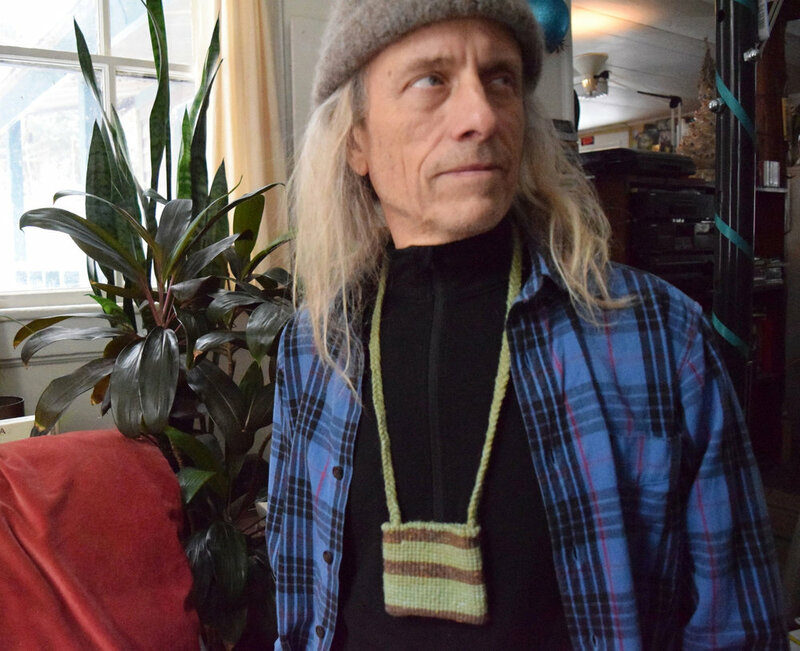 10-1PM: Learn about energetics of the plants used to dye the fiber for the bags. Pick a size for your medicine holding needs, and learn how to weave your bag!